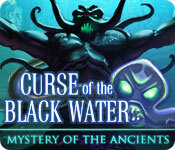 Mystery of the Ancients: Curse of the Black Water is rated 4.6 out of 5 by 80. 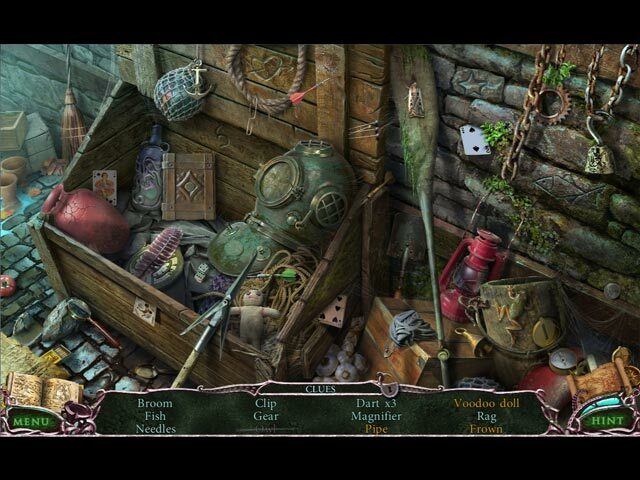 Rated 5 out of 5 by Evilida from Lots of fun and a good variety of puzzles The level of challenge was good for me. I get involved in the story and want puzzles that can be solved in a few minutes, without interrupting the flow of the story. However, if you are puzzle fiend, this game might not be challenging enough for you. 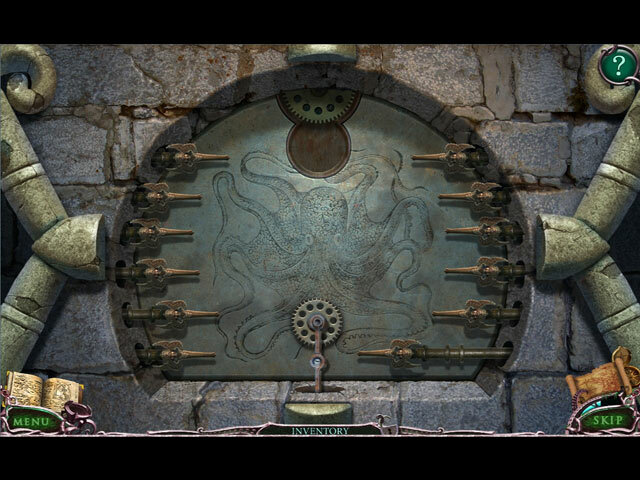 There were no puzzles where you just randomly click buttons until something happens, which are a pet peeve of mine. Artwork is very good and each HOS is used only once. I seldom notice the music and voiceover work unless they are really annoying. They were not in this case. This game reminded me of Abyss: The Wraiths of Eden, which I also enjoyed very much. It is a pleasant way to spend a rainy afternoon. Rated 5 out of 5 by Titania from Very engaging game Well I thought this game was very good, graphics , music were all extremely good, as was the storyline, although the twist came a little early for me. 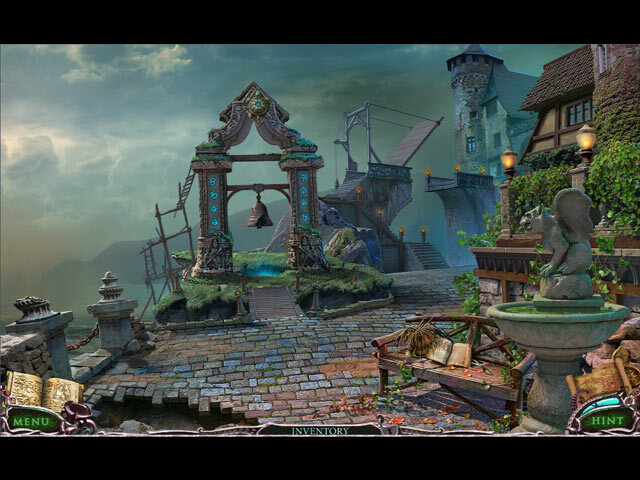 Not too many HO scenes, and interesting although not very difficult puzzles. Overall this is a very enjoyable game and kept me happy for a while. I would recommend this game to anyone with an average skill for adventure games and puzzles. I only am wishing I had bought the CE Version of this game, as I would liked it to have lasted longer. Rated 5 out of 5 by BabuskaSargus from Yes! I like it. Nothing annoyed, only good playing. Rated 5 out of 5 by AdrianaIP from Good story, with no meandering. I like strong stories and nice backgrounds, and I can forgive a lot to games that offer those things. This one also has nice games that I barely had to skip and good HOS. I liked that you had to solve problems in only a limited number of rooms, and when you were done, you had to go to a different set of rooms, and not backtrack (which always irritates me - when I have an object and have to go to EVERY place so that I figure out what to do with it.. And all the hint tells me is "go to another place" I like this one. Rated 5 out of 5 by crisgori from I like it Nice graphics, interesting puzzles, backtracking and no sparkles (neither HOS) in advanced mode. Complaint: it's quite a short game. Rated 5 out of 5 by whitewolf2226 from Kept me entertain throughout the entire game. I finished in 4 plus hours, and enjoyed every minute. For those that get bored easily, this is your game, plus, you become a McGuyver type person, in some of the quests. Just a note, be VERY precise with the clock, is all I'm saying. Fun and newer types of mini games, hog's not hard at all, and I never felt there was too many as the artwork, and placement was superb. I did not feel cheated in time, as the game is that good, however for those more irritated at quick games, use this a free credit. I usually dislike shorter games, immensely, but this is one that I did not mind in the least. I have no ulterior reasons for writing my reviews, just to let others know, they will enjoy this game. The games vary in challenge levels, so it doesn't matter which type you like, there are games for all. Plus I'm a fix it person, and loved the McGuyver like parts, mostly in the beginning. Have fun. Rated 5 out of 5 by Maebird from Terrified:) I have a vivid imagination. That being said, I had no business playing this game. But guess what, I played this game. It's dark and gloomy. I was pins and needles during the whole game; expecting to see this huge beast around every corner or un-investigated room. I loved this game. If you like thrills and chills, play it! You'll love it. Rated 5 out of 5 by mlw14 from Best of the Best! Great game! It has all the great ingredients for a 5 star game. It is visually good with varying sound effects that do not overpower the gameplay. The games are varied and interesting. They are varied on skill level from beginner to intermediate. Nothing to challenging. The length of the game is good. Not too short. Just enough time to feel like you have really played your moneys worth. Very well thought out game and interesting to play. Rated 5 out of 5 by angie0310 from it is a nice game it is really a nice game that you shouldn't miss. There are many fun mini games and the storyline is quite clear. Map is useful so you don't have to walk forward/backward a lot. However I did get lost at some point and the hint is not useful. The final chapter ends too fast which is a weak. Rated 5 out of 5 by hibc60 from great fun and you meet posidan! a good game over all. great graphics and I don't usually pay much attention to graphics. map and hint work really well. fun creppy tentacles keep getting in your way. you save the world of course and your friends. I don't use sound so can't rate that. some puzzles were a bit too hard for me so skipped a lot but over all I enjoyed and recommend this game.